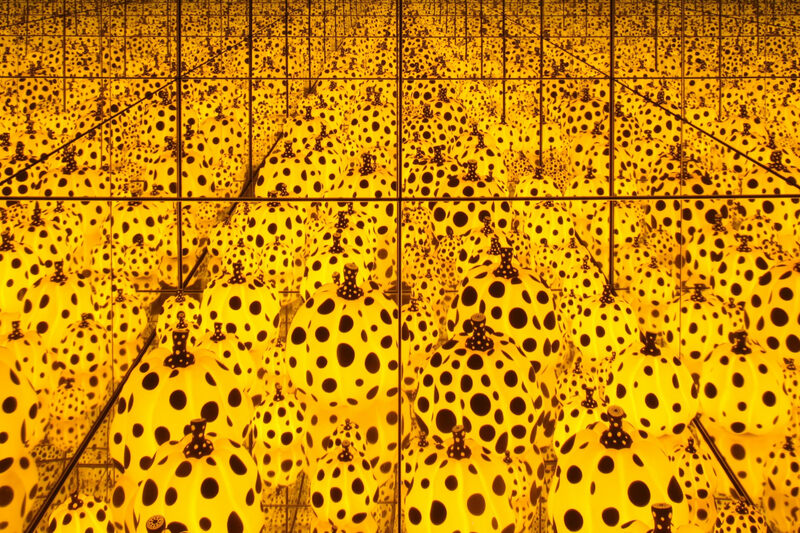 Pumpkins Screaming About Love Beyond Infinity, Yayoi Kusama. 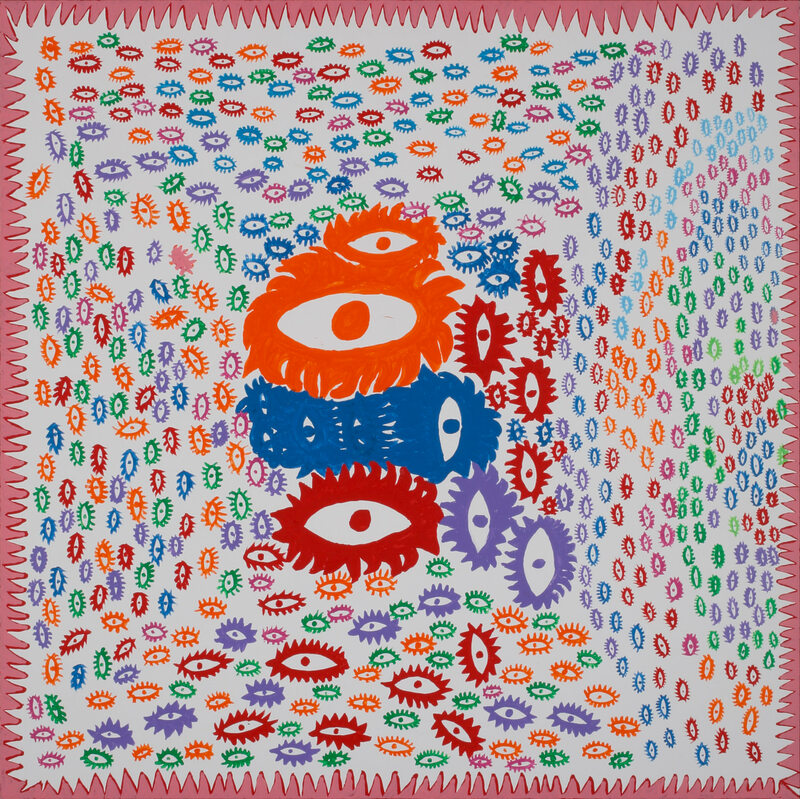 Waking Up In The Morning, Yayoi Kusama. 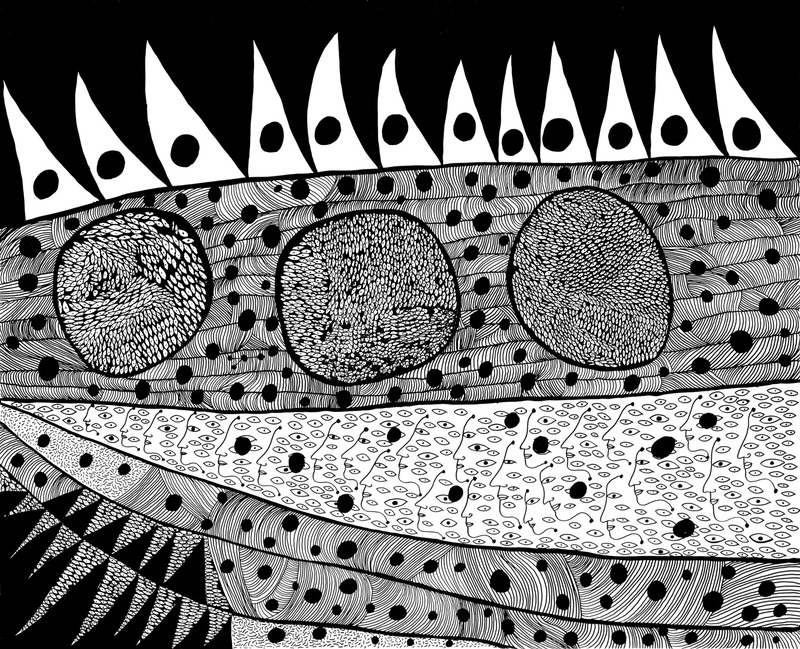 I Love Eyes, Yayoi Kusama. 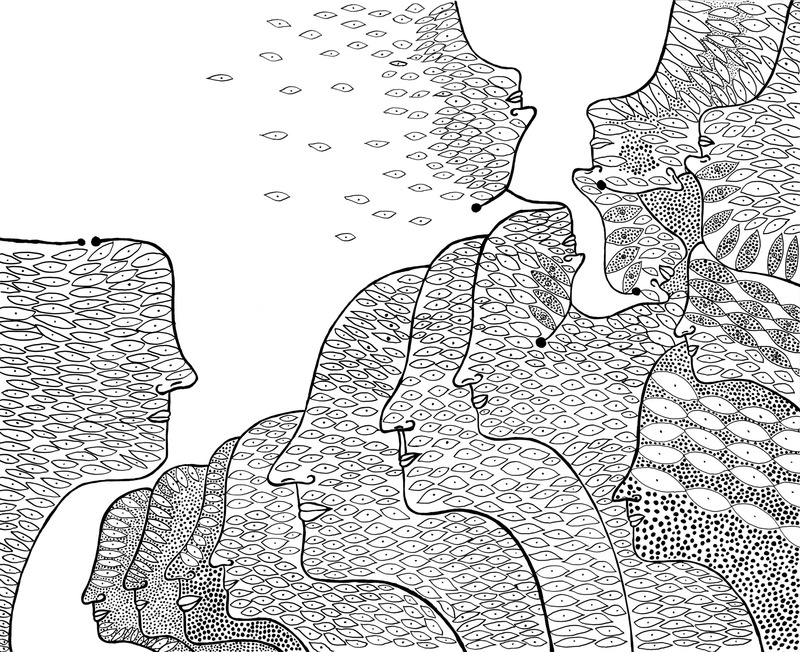 Women Waiting For The Spring, Yayoi Kusama. For an artist who rose through the ranks of art’s elite by way of polka dot–painted pumpkins, autumn seems like the ideal time to open the Yayoi Kusama Museum. On October 1, a five-storey space dedicated to the prolific Japanese artist was unveiled in Tokyo’s Shinjuku district, which is also home to Kusama’s studio and the psychiatric hospital where she has lived for the last 40 years. Newcomers to the artist’s work may know well her dotted gourds and mirror rooms, but the conceptual artist has a history as colourful as her creations. 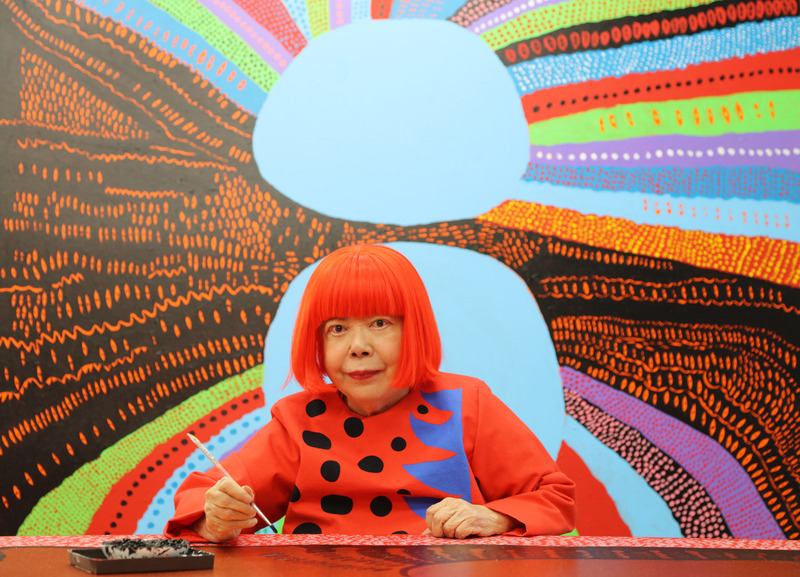 Her life’s work is a veritable tour de force, and the Yayoi Kusama Museum a deserved home for it. Walk past the museum’s white exterior and you’ll spot a clue to what lies within: a series of statement windows spackled with Kusama’s trademark dots. Inside is a world destined to be loved by contemporary art critics and Instagrammers alike—search for #yayoikusama on the app and half a million posts appear—with an inaugural exhibition titled Creation Is a Solitary Pursuit, Love Is What Brings You Closer to Art. Seek out the Love Forever series of silkscreens, dense with abstract lines and dots that form alien-like shapes, as well as a selection of 16 paintings taken from her wildly colourful 530-plus-piece series My Eternal Soul. The museum also boasts a new infinity mirror room titled Pumpkins Screaming About Love Beyond Infinity, a riot of lit-up yellow pumpkins, and a voluptuous gold Starry Pumpkin sculpture covered in red polka dots caps it all off on the museum’s top floor. These days, as is the case with any art world juggernaut, tickets to Yayoi Kusama’s exhibitions are scarce and coveted. With just four viewing times each day and no more than 50 visitors allowed per time slot, tickets to the museum are sold out until the end of this year. But Canadians should take note of the next-best thing: the Art Gallery of Ontario will host the celebrated exhibition Yayoi Kusama: Infinity Mirrors in Toronto, beginning in March of 2018. Yayoi Kusama Museum, 107 Bentencho, Shinjuku, Tokyo 162-0851, Japan.